At this point, most agree that instantly uploading pictures of the beautiful food you’re about to eat that none of the rest of us will ever have is just obnoxious. In fact, the Canadian Obesity Network a few years ago even linked that practice to an unhealthy fixation on food, as these posters seemed more focused on their meal than the (hopefully) loved ones they were about to share it with. 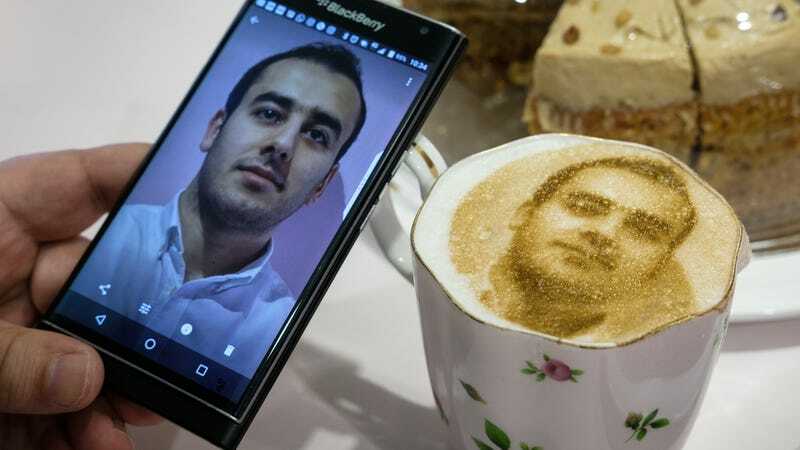 We wonder what those same experts would say about the latest trend for the caffeine/Instagram-obsessed: the selfieccino. While the Tea Terrace is enjoying a bit of popularity right now thanks to these popular yet fleeting works of art, a little internet sleuthing shows that they are not the first. Selfie Coffee in Singapore was already pushing image-based drinks, even printing the photos out in color on a layer of sweet whipped cream, making destroying the image in a “satisfying swirl” the fun part, we guess. They claim to be using a “secret printing device,” but that’s what YouTube is for. Still, it’s hard to imagine any coffee drink that’s worth eight whole dollars, no matter how many new followers you might get.